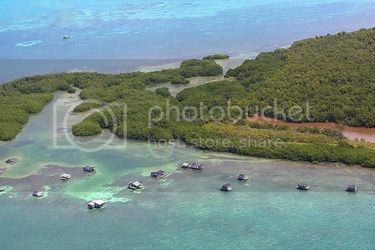 Today is Halloween, and a lot of people ask me, how do people celebrate Halloween in Mahahual. Some kids go “trick or treating” here in Mahahual, but most of the emphasis is on all the Day of the Dead festivities. A lot of that is changing because of movies and North American television, which is very popular in Mexico. So today I was thinking of something to write this morning about Halloween here, and I came across this article. Hollywood movies, zombie shows, Halloween and even politics are fast changing Mexico’s Day of the Dead celebrations, which traditionally consisted of quiet family gatherings at the graves of their departed loved ones bringing them music, drink and conversation. Mexico’s capital held its first Day of the Dead parade Saturday, complete with floats, giant skeleton marionettes and more than 1,000 actors, dancers and acrobats in costumes. 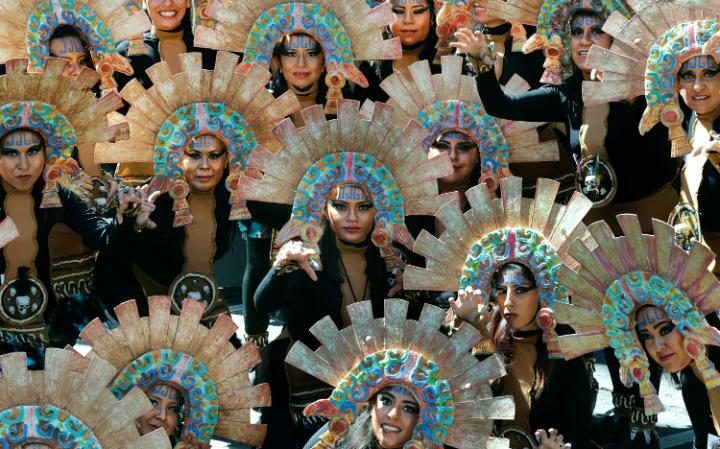 Tens of thousands turned out to watch the procession, which included routines like a phalanx of Aztec warriors with large headdresses doing tricks on rollerblade skates. Such a spectacle has never been a part of traditional Day of the Dead celebrations. 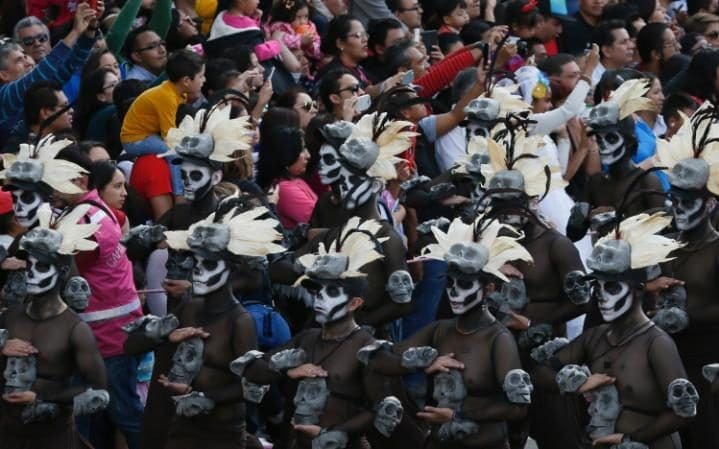 The idea for the parade was born out of the imagination of a scriptwriter for last year’s James Bond movie “Spectre.” In the film, whose opening scenes were shot in Mexico City, Bond chases a villain through crowds of revellers in what resembled a parade of people in skeleton outfits and floats. It’s a bit of a feedback loop: Just as Hollywood dreamed up a Mexican spectacle to open the film, once millions had seen the movie, Mexico had to dream up a celebration to match it. Mexico City authorities even promised that some of the props used in the movie would appear in the parade. The government board sponsoring the march called it part of “a new, multi-faceted campaign to bring tourists to Mexico during the annual Day of the Dead holiday.” Add to this the increasing popularity of “Zombie Walks” around the Day of the Dead, and the scads of Halloween witches, ghouls, ghosts and cobweb decorations sold in Mexico City street markets, and some see a fundamental change in the traditional Mexican holiday. Johanna Angel, an arts and communication professor at Mexico’s IberoAmerican University, said the influences flow both north and south. She noted U.S. Halloween celebrations now include more Mexican-inspired “candy skull” costumes and people dressed up as “Catrinas,” modelled on a satirical 19th century Mexican engraving of a skeleton in a fancy dress and a big hat. Traditionally, on the Nov. 1-2 holiday, Mexicans set up altars with photographs of the dead and plates of their favourite foods in their homes. They gather at their loved ones’ gravesides to drink, sing and talk to the dead. In some towns, families leave a trail of orange marigold petals in a path to their doorway so the spirits of the dead can find their way home. Some light bonfires for the same purpose, sitting around the fire and warming themselves with cups of boiled-fruit punch to ward off the autumn chill. 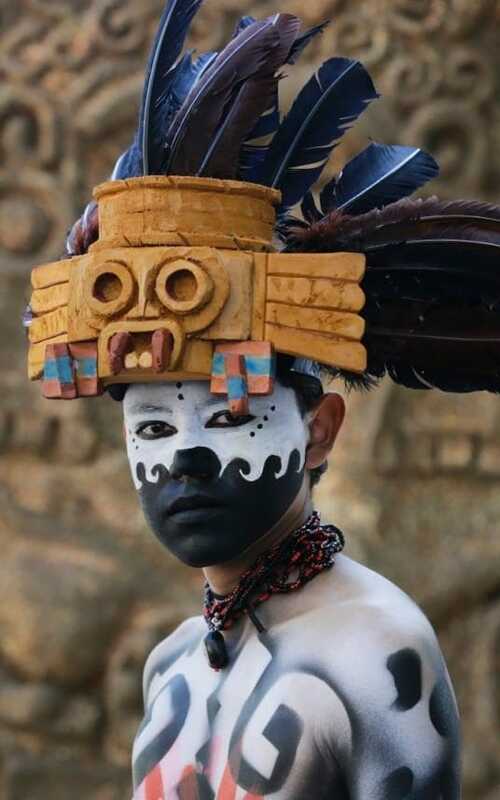 These days, many cities set up huge, flower-strewn altars to the dead and hold public events like parades, mass bicycle events and fashion shows in which people dress up in “Catrina” disguises. Some say the changes don’t conflict with the roots of the holiday, which they say will continue. Samuel Soriano, a 35-year-old insurance executive, decorates his Mexico City home Halloween-style (think giant spider webs and inflatable tombstones) and each year hands out candy to about 100 trick-or-treaters. But in his dining room, he has a more traditional “Dia de los Muertos” shrine with portraits of departed loved ones, candles, decorative skulls and marigolds. “We decorate for the sheer pleasure of it, and to see the smiles on children’s faces,” Soriano said. “We also celebrate Day of the Dead … There’s no reason to see it as a contradiction.” On a recent “Zombie Walk,” in which hundreds paraded through Mexico City in corpse disguises one week before the Day of the Dead, most participants said it was just good, clean fun. Halloween is tomorrow, and then the Day of the Dead festivities start here in Mexico. Here are some facts to help you understand the Day of the Dead holiday here. Each section contains links to further information, so that you can easily access all of the Day of the Dead information on this site. Who started Day of the Dead? Dia de los Muertos originated centuries ago in Mexico, where it is still widely celebrated to this day. The holiday is a blend of pre-Hispanic indigenous beliefs and Spanish Catholic beliefs. You can read more about Dia de los Muertos history here. Who celebrates Day of the Dead? Dia de los Muertos is celebrated throughout Mexico. Many other countries around the world celebrate similar (or hybrid) versions of Day of the Dead as well, by having special days for honoring the dead. These celebrations occur in various countries in Central and South America, Europe and Asia, where they celebrate the holiday according to their own local customs. Day of the Dead has also taken hold in areas with a high Mexican immigrant population, particularly in California, Texas, Arizona and other parts of the United States. Many people around the world, even if they are not directly connected to Mexican culture, are drawn to the concept and imagery of Mexico’s Day of the Dead, so the holiday seems to continually gain in popularity as more people learn about it. Dia de los Muertos is a holiday for remembering and honoring those who have passed. It is a festive, joyous time of celebration. Day of the Dead is Mexico’s most important holiday, which means they invest a lot of time and money into celebrating Dia de los Muertos, moreso than any other holiday. Where is Day of the Dead celebrated? The Day of the Dead is celebrated in both public and private spaces. It is most often celebrated in homes and graveyards. In homes, people create altars to honor their deceased loved ones. In some places it is common to allow guests to enter the house to view the altar. In graveyards, families clean the graves of their loved ones, which they then decorate with flowers, photos, candles, foods and drinks. People stay up all night in the graveyards, socializing and telling funny storiesabout their dead ancestors. Musicians are hired to stroll through the graveyard, playing the favorite songs of the dead. In the public sphere, Day of the Dead celebrations can also take the form of street parties, parades, and festivals on university campuses. Why do people celebrate Day of the Dead? People celebrate Dia de los Muertos to honor their deceased loves ones. It is a loving ritual, full of joy and remembrance. 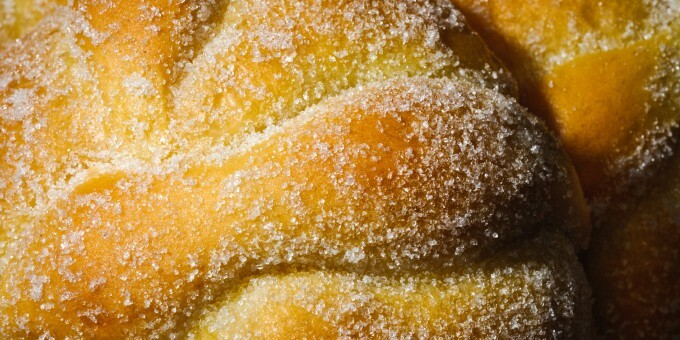 For those who did not grow up in a culture that celebrates such a holiday, these practices and rituals might seem odd. But bear in mind that in the US, it is common for people to visit the graves of their family members and friends who have left this earth, to leave flowers and to reconnect with their loved ones. Dia de los Muertos is similar to this common American practice – so you can see that the Day of the Dead is not that unusual. Dia de los Muertos allows the dead to live again. During this time it is believed that the deceased return to their earthly homes to visit and rejoice with their loved ones. The Days of the Dead are celebrated as a way of retaining connections with the unseen world — a world we will all return to one day. Most people celebrate Day of the Dead out of love and commitment to their loved ones, but some people celebrate this holiday out of fear! Mexico is rampant with folk tales that tell what happens if someone neglects their ancestors on Dia de los Muertos. If a spirit returns to find that no one has built an altar for them, or that their loved ones only left them paltry offerings, they will feel sad and angry… especially when they see what bounteous offerings other spirits received! Neglected spirits may seek vengeance on those who have forgotten them. Additionally, many folk tales describe how those who ignore their deceased loved ones fall immediately ill and even meet their death shortly after the holiday. So you see, there are some people in Mexico who participate in Dia de los Muertos out of fear and superstition instead of love! How do people celebrate Day of the Dead? Day of the Dead customs in Mexico vary from town to town, and when celebrated abroad it also takes on its own unique flair in each community. It is usually a combination of rituals and introspection that ultimately takes on a joyous tone. Day of the Dead celebrations now also include community festivals, parades, and street parties. Day of the Dead just around the corner, so here is a story from last year on October 29. Today is Saturday, and this time of year that means college football. On Saturdays I try to do some kind of Mexican history or culture on this blog to provide some insight into life here. Today I am going to combine some Mexican history which also includes American football. I am Facebook friends with a couple of Mexican guys who run American football leagues and teams in Chetumal. They are big football fans, and one of them shared this article yesterday that I thought a lot of you may like. I wrote an article about the football team and league in Chetumal a couple of months back. There’s a space in Mexico City called the Plaza of the Three Cultures. It’s an archeological treasure, common ground for different empires that have occupied Mexico over the centuries. Aztec ruins date back to the ancient city they called Tlatelolco. Looming over the ruins is a Catholic church built by Spaniards, who colonized the country in the 1500s. Finally there’s the skyscraper former home of Mexico’s Department of Foreign Affairs, representing the current state. Incorporated into the plaza is a wide slate patio, on which a small memorial has been erected. 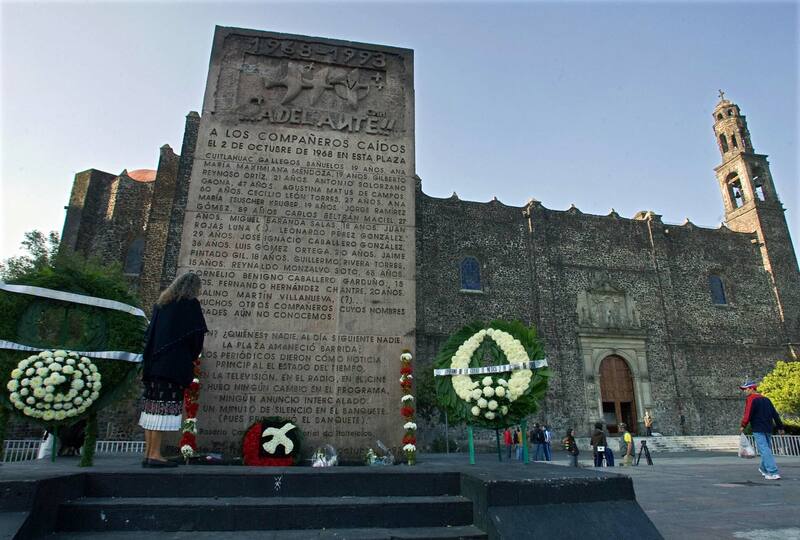 The memorial honors the victims of what’s widely regarded as Mexico’s darkest and bloodiest day. I’m surprised to be standing next to it. I came to Mexico to look at the country’s relationship with football, that most American of sports. Somehow my journey led me here to this plaza, and specifically to this memorial. I knew that football was played here, but I thought its presence was minor, perhaps on the scale of cricket in the United States. I never realized that in Mexico football was once the most popular university sport. Or that this country’s legendary student uprising of 1968 started at a football game, and ended in gunshots right here in the plaza. Nor did I know that after the Tlatelolco Massacre, as it is called, the government—in an attempt to prevent future student unrest—broke up the most glamorous football program in the country. The game has never quite recovered. 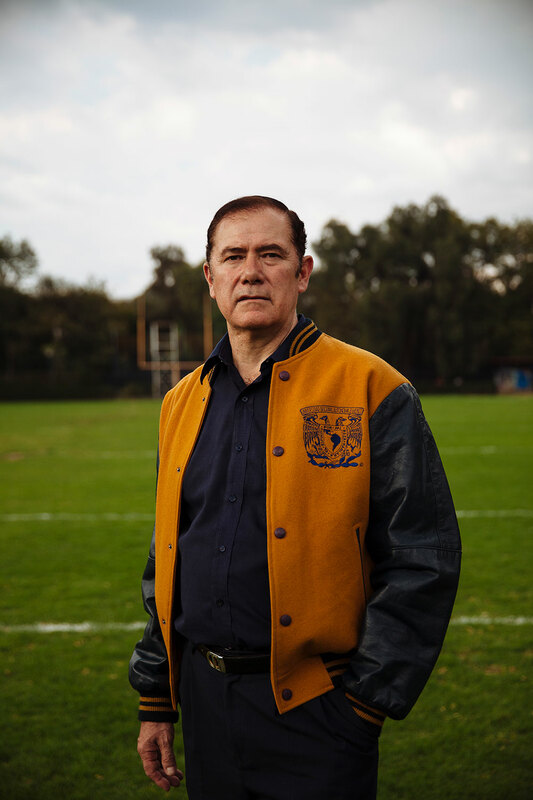 University of Mexico graduate Hector Castro, 62, is an ardent, longtime Pumas football fan. Castro is 62 years old, a medical doctor and a graduate of the University of Mexico, or UNAM. His college, one of the most prestigious schools in Latin America, has long sponsored Pumas, the best-known and most successful football team in the country. I ran into Castro on a warm Saturday in October, when I took in a Pumas game. I arrived right after kickoff. The opposing team was the Eagles of the University of Chihuahua, from a Mexican state that borders Texas. I lived in Chihuahua a few years ago, so I initially sat on the visitors side of Estadio Olimpico, which is located just off the UNAM campus. Maybe 40 Aguilas fans watched the game with me. Police assigned to protect the fans chatted among themselves. The lone vendor didn’t carry a tray of Cokes or ice cream sandwiches or anything. He simply climbed up to my seat and said if there was anything I wanted, he’d go find it for me. A cauldron from the 1968 Summer Olympics hovered over my head. I looked down at the rubber track that circles the playing field. A pit adjacent to the track conjured up a famous image of Bob Beamon soaring improbably far in Mexico City’s thin air. Goalposts stapled into the turf for the football game looked temporary and a little rickety, like you might find at an eight-man high school game deep in the Kansas prairie. The players seemed like typical football players, if a bit on the short side. The crowd, mostly Pumas fans sitting on the other side of the bowl, cheered every attempted long pass. That seemed to be the great appeal of the game—long passes. 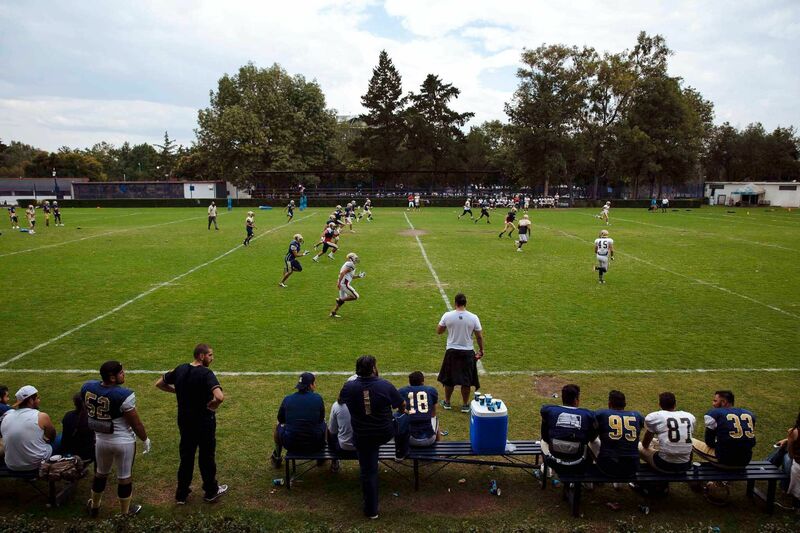 The Pumas work out on their practice field on the UNAM campus. At halftime, I crossed over to the Pumas side, which held a few thousand fans. There was still plenty of room to sit where I wanted. At first I found a thin sliver of shade from the press box, escaping a sun that had my skin crisping. The vendors were more plentiful on the home side, and more aggressive. Hawaiian pizza, lollipops rolled in chili pepper and even cigarettes. No cerveza, though. Unlike at soccer games in Mexico’s top league, beer is forbidden at Pumas games. Football in Mexico is seen as a more family-friendly sport. A chant I recognized from UNAM’s soccer team rang out after every big play, which usually meant every long pass. 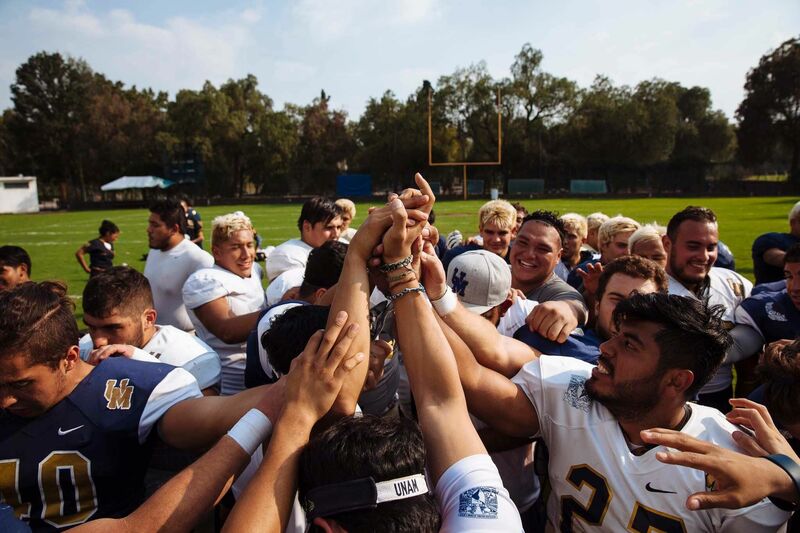 Turns out the chant, like most of UNAM’s athletic traditions, started with the football team. “Football was first,” Castro tells me when I move down closer to the action and introduce myself. He’d stood out as a superfan, sitting in the front row, often leading the Goya! chant. Even in the hot sun he wore a UNAM letterman jacket with leather sleeves. Into the fourth quarter, as Pumas cut into the Chihuahua lead, Castro waved a blue towel overhead to rile up the crowd. It wasn’t quite effective. Pumas came up just short, losing by a field goal, 21-18. A fan with a trumpet bleated out a sad final dirge. Football came to Mexico in the 1920s, the sport imported from the United States by students returning from American schools. In 1927, two brothers—both fans of Notre Dame—launched the first formal UNAM team. An American expat working for the Ford Motor Company donated helmets and pads. El Irlandes que Lucha didn’t quite work as a nickname, so at first the team went by Los Osos, after the Chicago Bears. 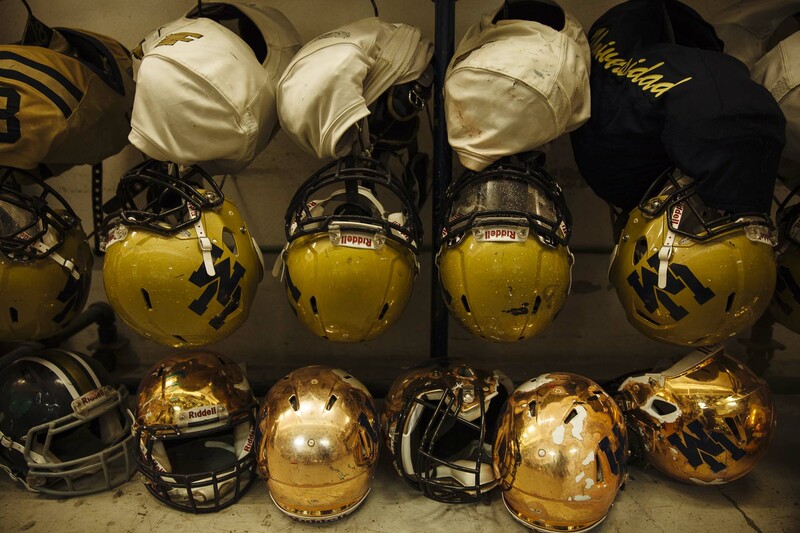 Team colors—which became the colors for the whole university—stayed true to South Bend, as did the fight song. Within a few years, a new coach, looking for a mascot more Mexican, selected a jungle cat that was small like his players, and was known to fight to the death. Pumas grew into a national power. No other team in Mexico—not Monterrey Tech, National Polytechnic (IPN) or anyone else—has won as many championships. Former UNAM football coach Raul Rivera stands in his office. He had been the Pumas coach for the last seven years before stepping down right before this season. “1968 is a very important year for Mexico,” says Raul Rivera. He was the Pumas head coach for the past seven years, stepping down right before this season. He still keeps an office on the UNAM campus, where I met up with him a few days after the Chihuahua loss. His old team practiced on a grass field nearby. I could hear the new coach critique pass routes and defensive drills. An American pop song reverberated over a set of loudspeakers. 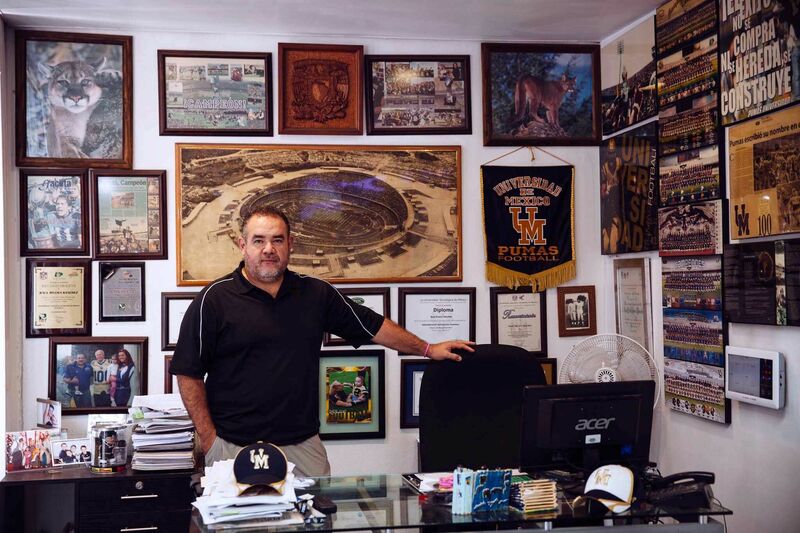 The walls of Rivera’s office hold dozens of framed pictures and Pumas memorabilia. It’s like a very small hall of fame. There’s a shot of Estadio Olimpico on the day it opened. There’s a blown-up national lottery ticket from four years ago, honoring Pumas football on what was the team’s 85th anniversary. There’s a 2014 newspaper article celebrating a Pumas national championship, when Rivera was still the coach. Tucked away in a corner is a framed photo of an actual puma. Rivera considers himself a historian of his former club. I notice that when we talk about Pumas and football, much of what we discuss has nothing to do with tackles or running backs. Into August, the movement’s leaders found their voice. They demanded the release of political prisoners, the abolition of the riot police and other liberal reforms. When the demands were not met, students chanted insults at President Gustavo Diaz Ordaz, which had never been done; Mexican presidents had always been treated with reverence. Marching into El Zocalo, the capital’s main square and the symbolic center of the country, the students vowed to stay overnight, or stay for a week, if that’s what it took. President Diaz Ordaz responded with tanks, first in the main square, then eventually onto the UNAM campus, which he shut down. The massacre at Tlatelolco effectively ended Mexico’s student movement. Ten days later, at Estadio Olimpico, President Diaz Ordaz opened the Summer Games. Volunteers released thousands of doves in a symbolic reference to the Games’ theme, which was peace. The 1968 football season was canceled across Mexico. In 1969 UNAM tried to field a team but other universities declined to play them. A year after that, in 1970, Pumas players were divided into three separate squads, to dilute their talent. The games of those three teams were monitored closely by the government. Garcia Miravete, the former player, tells me rowdy “fans” were planted in the stands to disrupt the games, to steal wallets and purses, to smash stuff and make the stadiums unattractive places to spend an afternoon. Castro, the doctor and Pumas fan, tells me the same thing, as do several histories I’ve read. UNAM Pumas football gear lines the wall of the team’s training facility. I visit the Plaza of the Three Cultures on a bright afternoon, a couple of days after the massacre’s 48-year anniversary. Orange flowers arranged in a semicircle dry on the patio’s slate tiles, in front of the memorial. People still rally at the plaza every October 2. Wax from candles placed during the rally has melted into a giant soup and is starting to liquefy again in the direct sun. An entrepreneurial guitarist has stacked a few of his CDs next to the memorial. Between songs, he shares the history of the plaza with a family of tourists from China. The memorial looks a little beat up; it was built 23 years ago. It’s a stack of stone blocks, straight up like a wall. One top corner looks like it’s been blasted with gunpowder, or perhaps lightning. There’s a stone missing on the back side, where I’m guessing there used to be a bronze plaque. On the front, in raised letters, are the names and ages of some of the confirmed victims of the massacre. Leonardo Perez Gonzalez, 29 anos. Guillermo Rivera Torres, 15 anos. Rosalino Martin Villanueva, with a question mark because his age was never determined. Over on the apartment building, below the terrace where the student leaders spoke, someone’s painted a mural of former President Diaz Ordaz. He’s a caricature in the mural, his horn-rimmed glasses oversized, his ears elephantine. Like a rebel, he wears a bandana around his head imprinted with the words “No se olvidara.” Do not forget. The massacre indeed remains fresh. Football in Mexico was wounded by the crackdown on the student movement, but it survived. It’s even gaining momentum. I spent a Sunday in a bar near El Zocalo watching Tom Brady thrill a group of Patriots fans. When the game ended and I stepped back onto the street, I found an ice cream shop selling sundaes served in little plastic helmets of the Chargers or Raiders or Broncos. A domestic professional league has started up, with six teams so far, all of them sporting their own cool helmets. And of course, the NFL is coming to the Azteca. 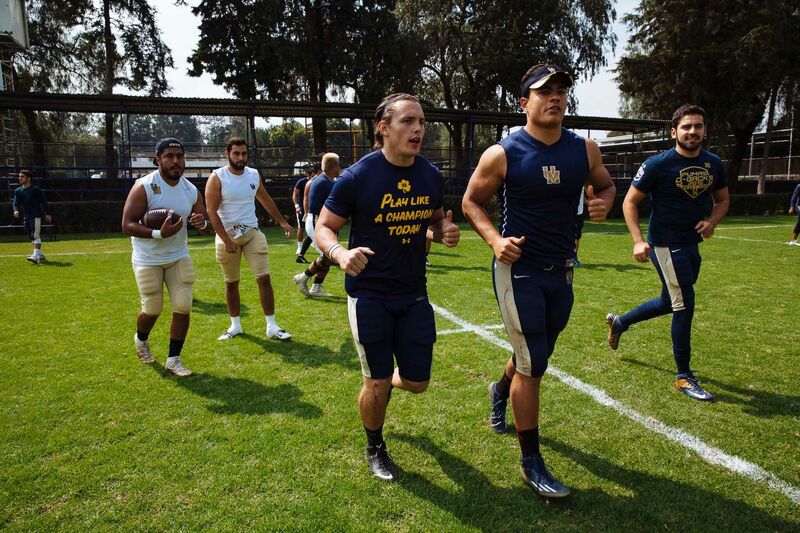 Members of this year’s Pumas jog onto the field before a recent practice. It once was. Garcia Miravete, a linebacker in his day, recalls his time at UNAM with nostalgia, and also some bitterness. He played in a golden age of football in Mexico. El Clasico against IPN broadcast on television, the big game even featured in movies. He and his teammates enjoyed the national spotlight, much the way Mexico’s top soccer players do today. I’ve seen a picture of President Diaz Ordaz at a Pumas game. In the photo, he’s on the field at Estadio Olimpico, standing next to some players, everybody smiling as they exchange gifts in a pregame ceremony. He used to be down with UNAM football. That didn’t last for long. I talked to a lot of people in Mexico. I’ve since read everything I can find on the summer of 1968, and watched a half-dozen documentary films. Everyone describes the former president as “patriarchal” and “authoritarian.” He censored rock music during his tenure. His police cut the long hair off boys walking down the street. The Olympic Games of 1968 were to be a coming-out party, his chance to show that Mexico was modern, a first-world nation. Nothing was going to disrupt the Games. So strong was his desire for order that, among all his efforts to crush the student uprising, he actively disrupted football. Of all things. It seems incredible, maybe even laughable, that he might have felt threatened by a sport. Is this a joke? Are you joking? Yet I’ve seen how far Diaz Ordaz and his government went to maintain control. Standing at this memorial, thinking about what happened here and everything that led to it, laughing is the last thing I feel like doing. Robert Andrew Powell is the author of three books, including This Love Is Not For Cowards: Salvation and Soccer in Ciudad Juarez and We Own This Game about football, politics and race in Miami, where he lives. B/R Mag is an experimental, multiplatform digital sports magazine from Bleacher Report. It is a work in progress, and our growing team welcomes your feedback. Follow the new B/R Mag stream on the Team Stream app and #BRMag on Facebook, Instagram and Twitter for sports storytelling worth your time, wherever you are. Dogs and cats (a maximum of two per traveler) with health certificates and rabies vaccine records. 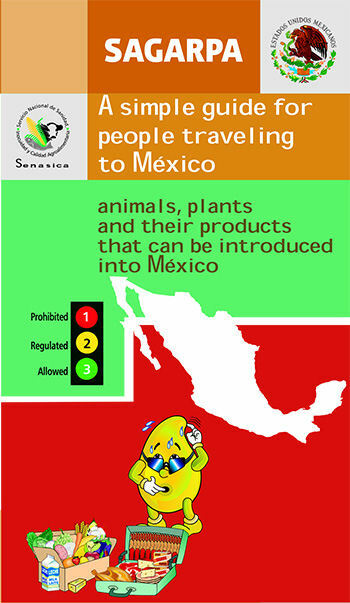 Visit our “Traveling with Pets in Mexico” guide for more information.